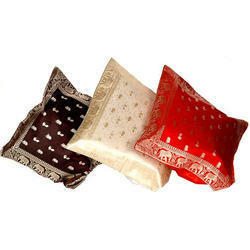 Our expertise has enabled us to provide our clients with an excellent gamut of Zari Cushion Covers to our clients. These covers are designed and stitched in variegated color combinations and latest patterns in compliance with the clients' detailed specifications. Moreover, we ensure that all these products are delivered at our clients' site within the promised time frame. 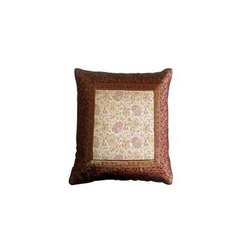 Designer Cushion Covers are decorated with attractive and stunning designs and can be matched with bed covers of your choice. 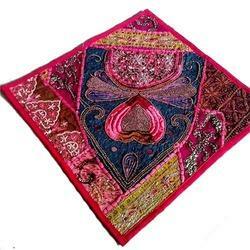 Also, these are easy to maintain, have perfect stitch and has color fastness. 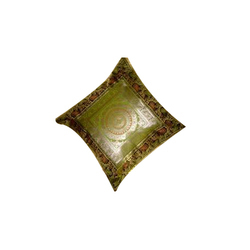 The patterns on Fancy Cushion Covers are extremely appealing and are, therefore, suitable for sewing various kinds of home furnishing items. 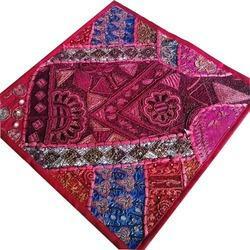 Fancy patchwork fabrics are provided by us at economically prices.